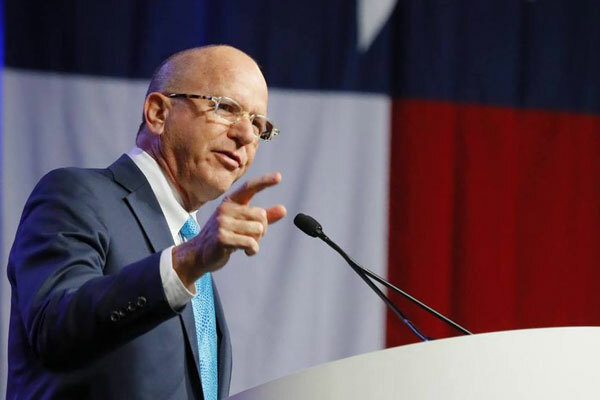 A state district court judge from Houston will be on the ballot in November as a candidate for the Texas Supreme Court and if he wins, he will become the first openly gay justice on state’s highest court and the first openly LGBTQ statewide official in Texas history. Democratic Judge Steven Kirkland of Harris County’s 334th Civil District Court is running for the Place 2 seat which is currently held by Republican Jimmy Blacklock, who was appointed to the court by Governor Greg Abbott in January. Blacklock’s appointment was made to fill the seat which was vacated after Justice Don Willet was nominated by President Trump for the 5th U.S. Court of Appeals. Kirkland has served as a judge in the municipal and district courts for 12 years. He was appointed Municipal Judge for the City of Houston in 2001. He was elected in 2008 as judge of the 215th Civil District Court and served until 2012 when he took his present position. Judge Steven Kirkland with his husband Mark Pathie. 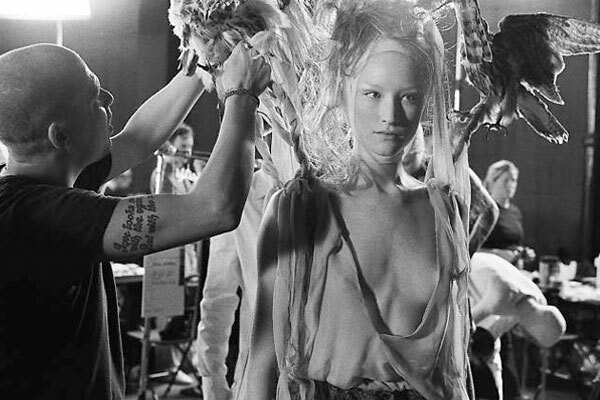 Kirkland, who originally hails from Abilene, Texas, has a B.A. in history from Rice University and a J.D. from the University of Houston Law Center. He teaches at the University of Houston’s School of Communications, teaching law and ethics to non-law students. 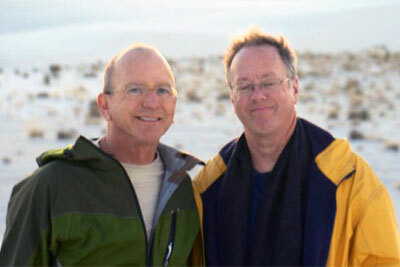 Kirkland and his husband, Mark Parthie, have been together for more than 30 years. “I’m running because the Texas Supreme Court has entered far too many decisions recently that reek of politics and it’s time to change that,’’ Kirkland told Texas Lawyer. Kirkland has received endorsements from the LGBTQ Victory Fund, Texas AFL-CIO, Texas Equity PAC and locally by the Stonewall Democrats of San Antonio among others. 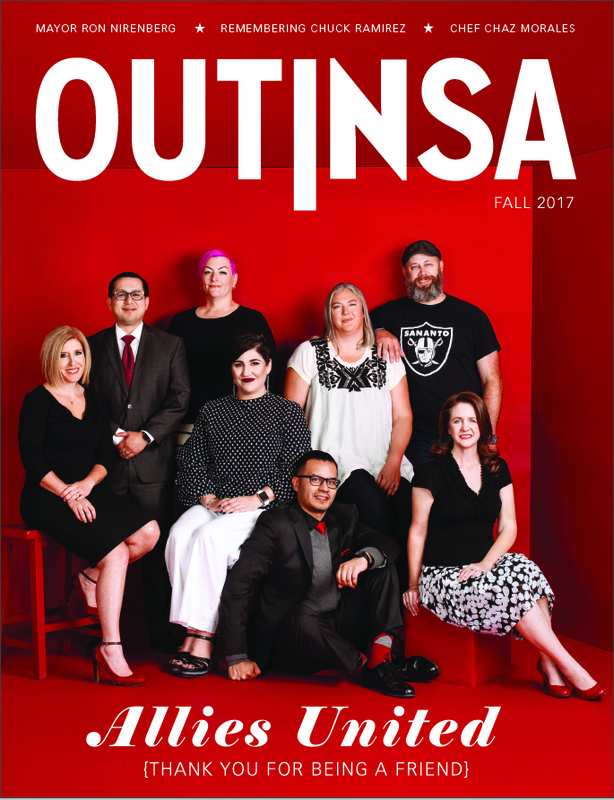 From left: Rabbi Mara Nathan, Texas State Representative Diego Bernal, graphic designer Danielle Cunningham, activists DeAnne Cuellar-Cintron and Louis Cintron Jr., restaurateurs Jody Bailey Newman and Steve Newman, and Fiesta Youth founder Emily Leeper photographed by Josh Huskin. Allies United: DeAnne Cuellar-Cintron & Louis Cintron Jr.